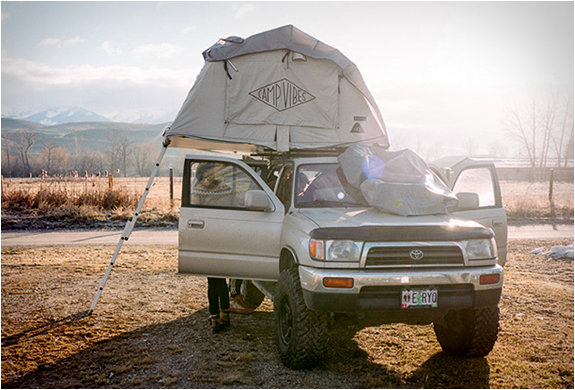 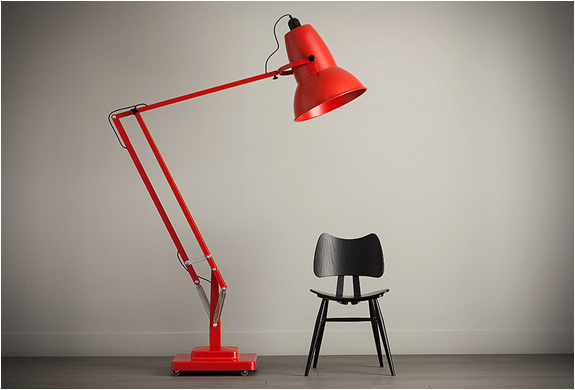 Best Made Company is dedicated to outdoor products that are timeless and can pass down for generations. 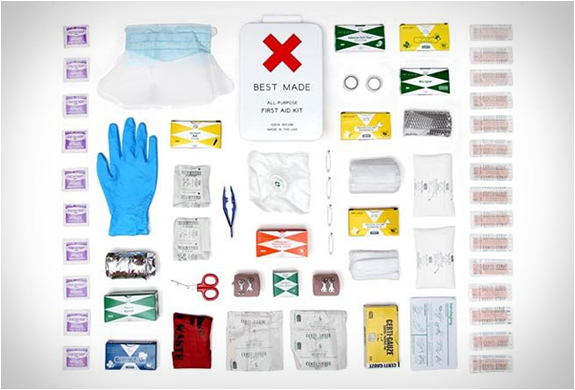 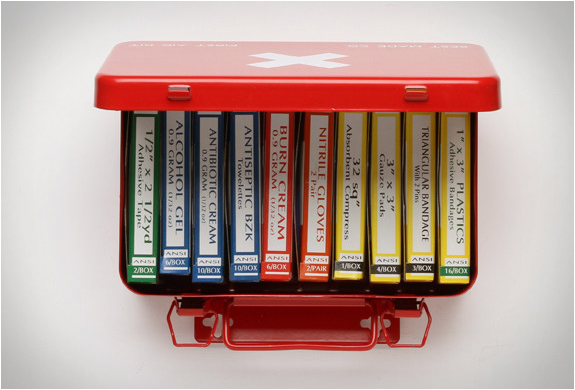 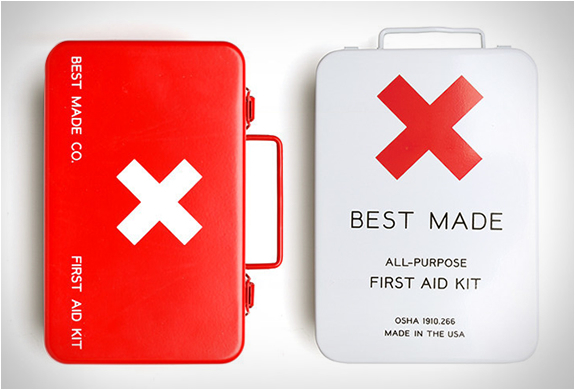 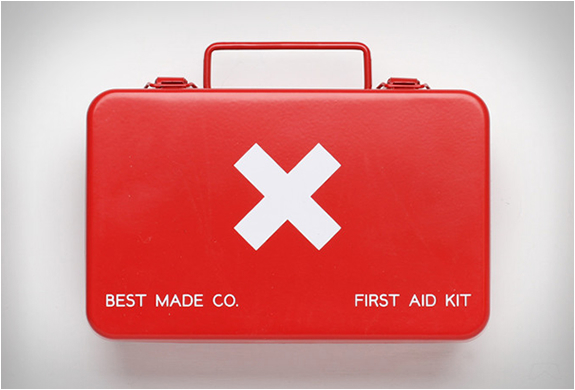 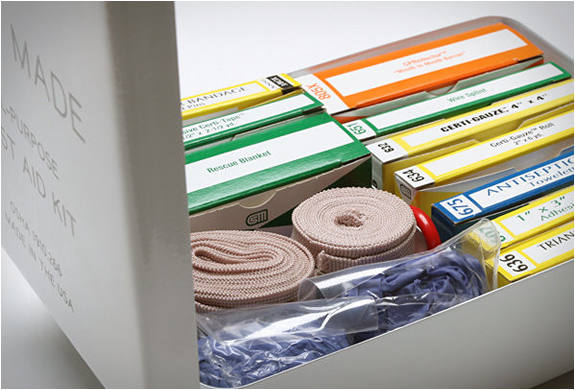 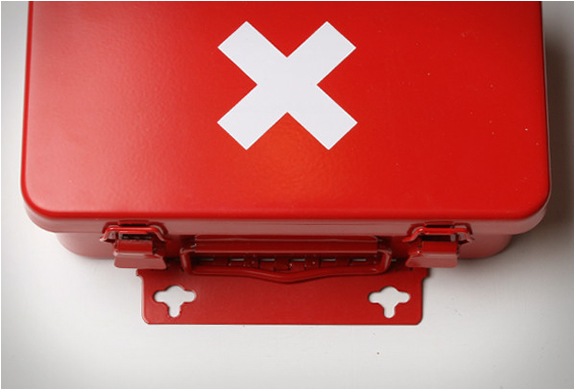 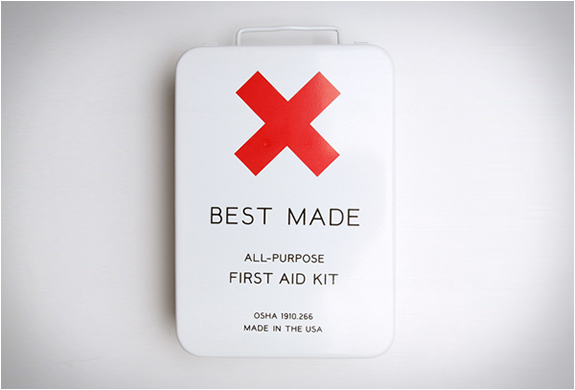 Their classic First Aid Kits are securely packed in sturdy metal boxes that are dust and moisture resistant and come equipped with indispensable life-saving contents. 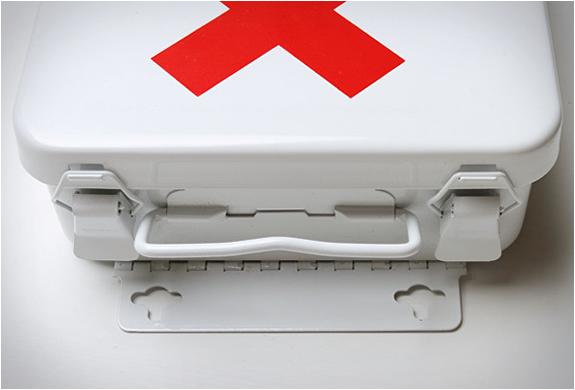 The sleek box is available in either small or large, and features hanging brackets for hanging on your cabin wall.